Pilot scheme from STV will see separate evening news programmes presented and produced from Glasgow and Edinburgh. STV has announced the launch of dedicated evening news programmes for east and west central Scotland in a pilot scheme that will make its news the most local service in the UK. Starting later in 2011, STV will pilot the service featuring separate editions of STV News at Six - one for east and another for west central Scotland. This means viewers in the east will see a 30-minute dedicated news programme, produced and presented from Edinburgh, tailored to the news requirements of local viewers in the east of Scotland. It will feature relevant Scottish stories alongside additional local coverage, live reports and more localised sports news and weather forecasts. Viewers in west central Scotland will see a separate programme, produced and presented in Glasgow. It will also have an increased focus on local stories, sport and weather relevant to west central Scotland. They will be complemented by two separate late-night bulletins following the network News at Ten. During the pilots, viewers in the STV North licence area will continue to enjoy the current programme produced and presented from Aberdeen. This increased local news output will also be available to audiences through STV’s online and mobile services. 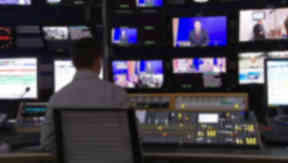 This new service will deliver a further enhancement for STV News, delivering a unique mix of Scotland’s top stories combined with regional and local material. It builds on the success of STV’s micro-regional news bulletins which are frequently the most popular part of our news programmes. STV is committed to delivering a more locally focused news service and this new service will also provide additional support for the launch of STV Local sites in Edinburgh and the Lothians, enabling cross-platform newsgathering and promotion.